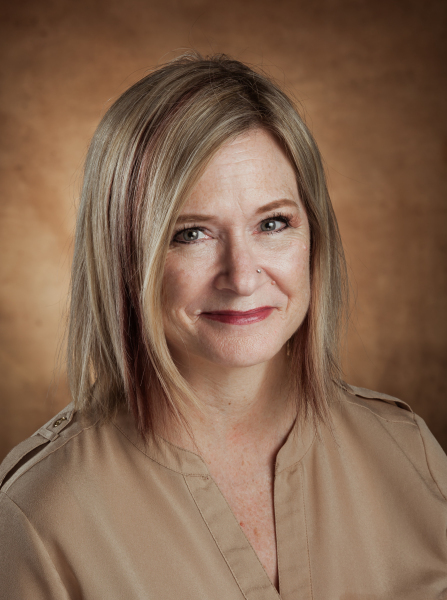 Leslie is a consummate student of art who has trained and workshopped with internationally renowned artists. 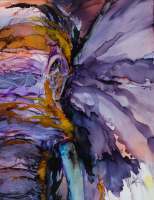 Through studies and experimentation she has honed her medium and technique in both watercolour and alcohol ink. She has fused her expressive style on resistant yupo paper and clayboard panel. The vibrancy and abstractions conveyed are breathtaking. She adeptly builds her works over a free flow of merging colour creating a mood upon which shapes, figures, and animals materialize. The result is an unconventional delight. Leslie’s themes are as diverse as her style as she explores the interaction of humans and animals within their environment. An alliance of realism and abstraction are her signature. 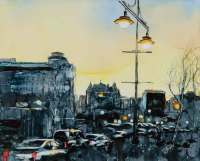 Leslie actively exhibits and is a member of the Manitoba Society of Artists, the Northern Plains Watercolour Society, and the Assiniboine Group of Artists Cooperative.